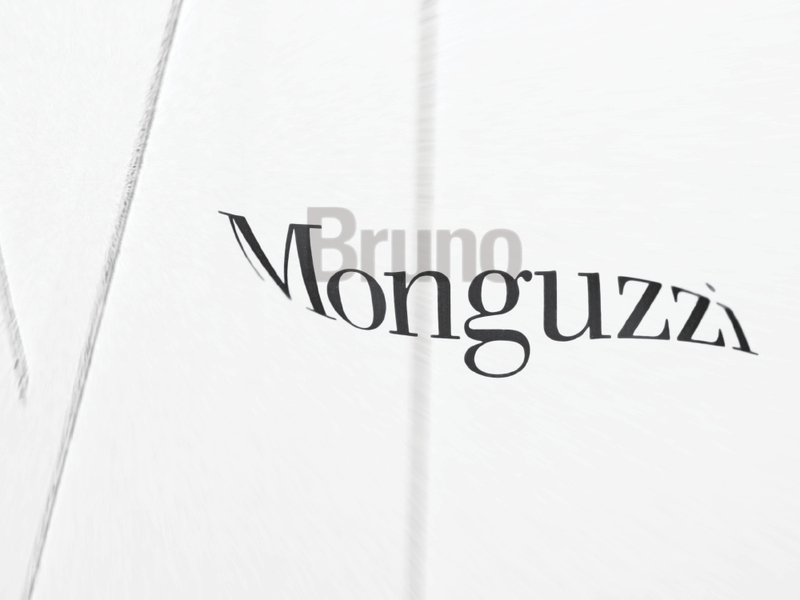 Bruno Monguzzi is a renowned Swiss designer. 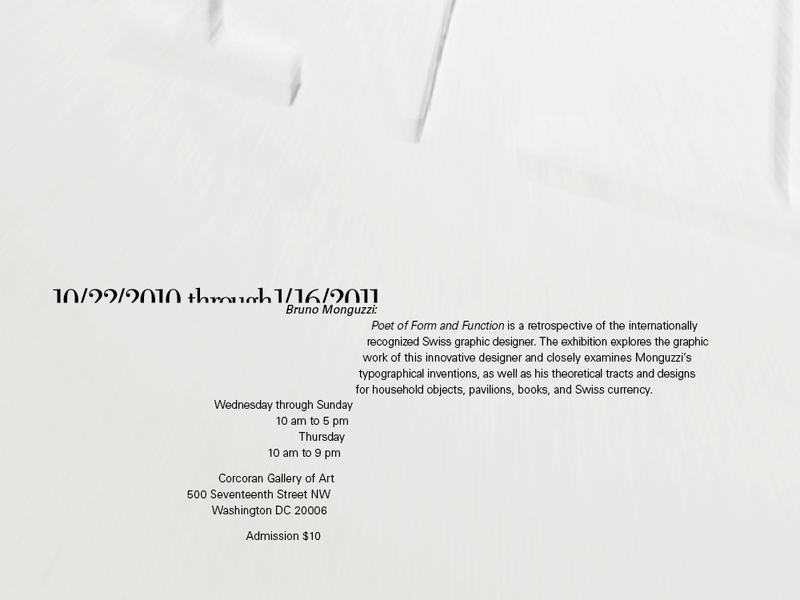 This is a promotional poster for a fictional exhibition of his work at the Corcoran Gallery of Art. 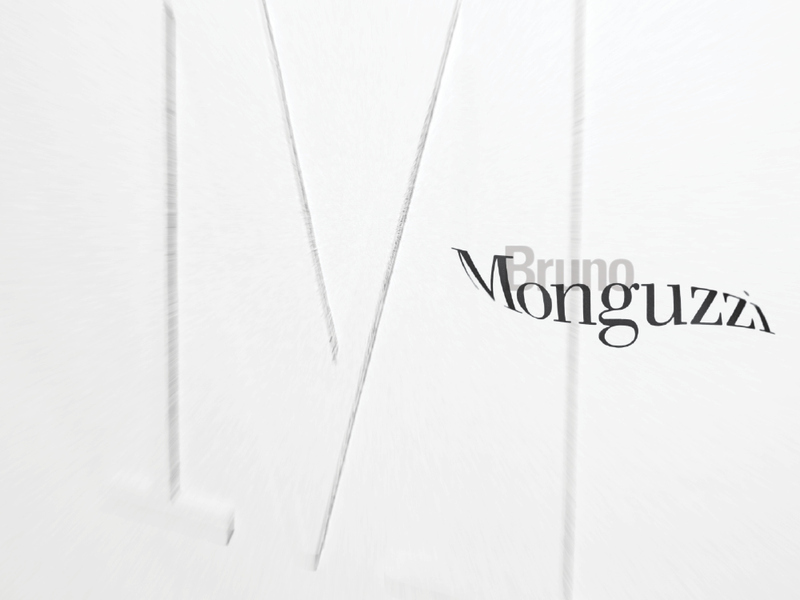 After studying the Swiss-Italian designer I set out to design a poster in much the same way Monguzzi might. The two typefaes used, Bodoni and Univers, are informed by the dichotomy between his Swiss nationality but inherently Italian aesthetic. 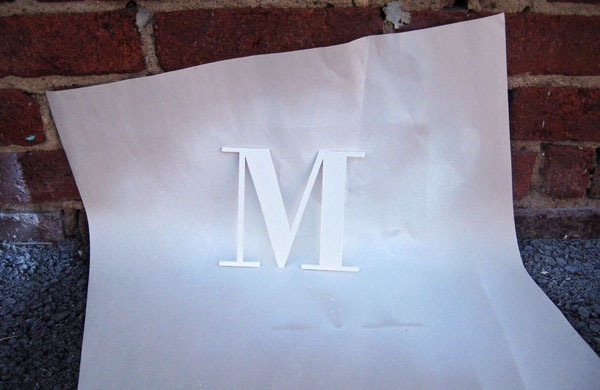 For the letter "M" I created a relief sculpture out of illustration board and spray-painted the piece white; I then used a photograph of the relief for the final poster. 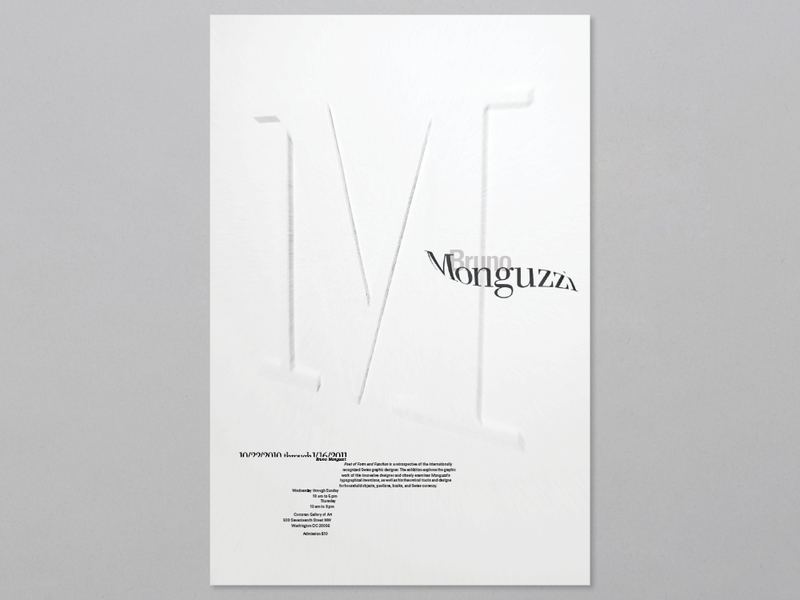 For the name "Monguzzi" I printed the word out and wrapped it around a cardboard tube and placed it on a scanner until I got the right effect.